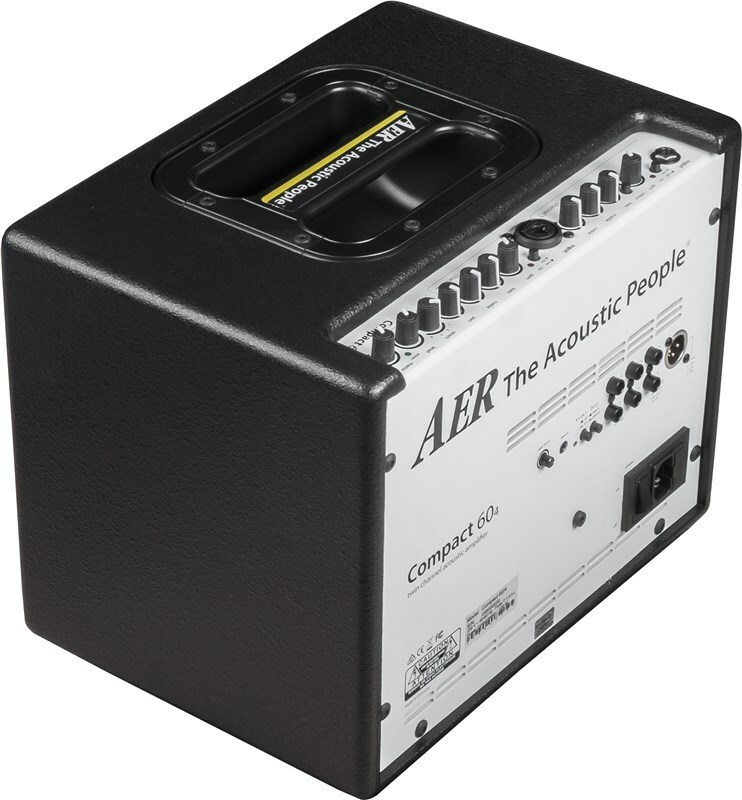 The AER Compact 60/4 has proven that there is an all-round, small, powerful and yet simple-to-use complete solution for stage, studio and home use that works up to the highest demands and standards of acoustic players. 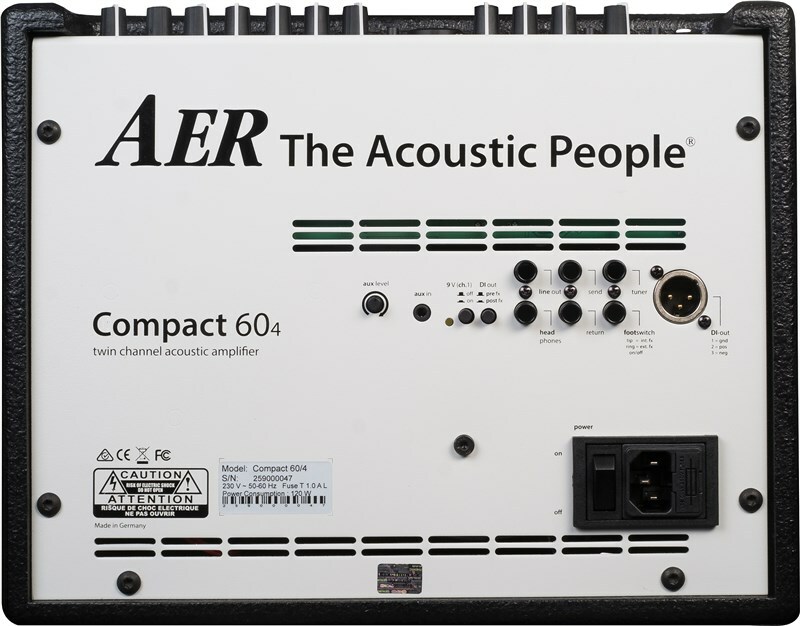 The AER Compact 60/4 (or Version 4) amplifier features an unbeatable combination of size, power, and sound quality. 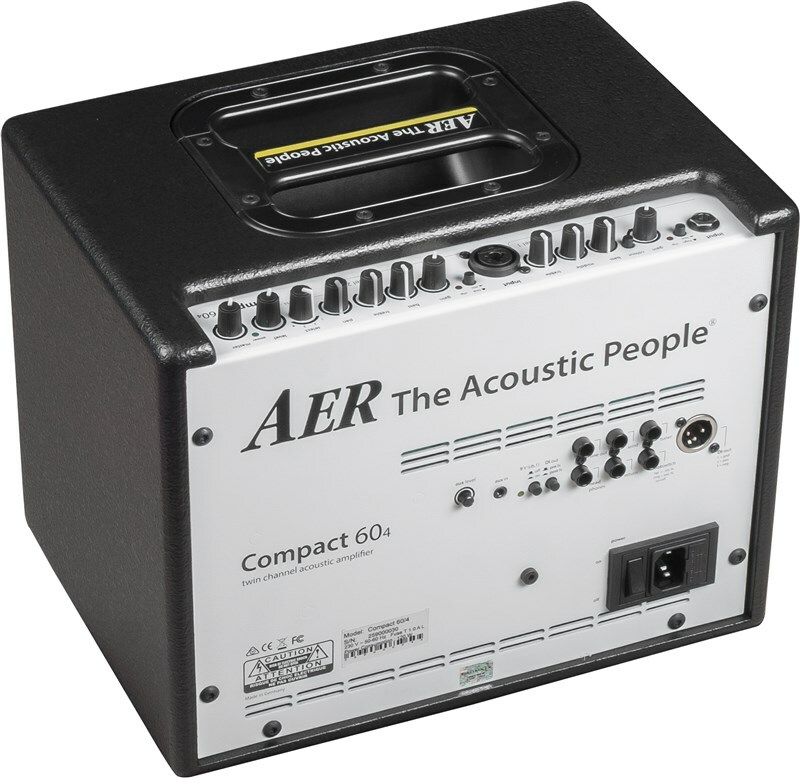 Nicknamed Bingo, the Compact 60 is just over 8kg, making it is one of the lightest acoustic amps on the market. 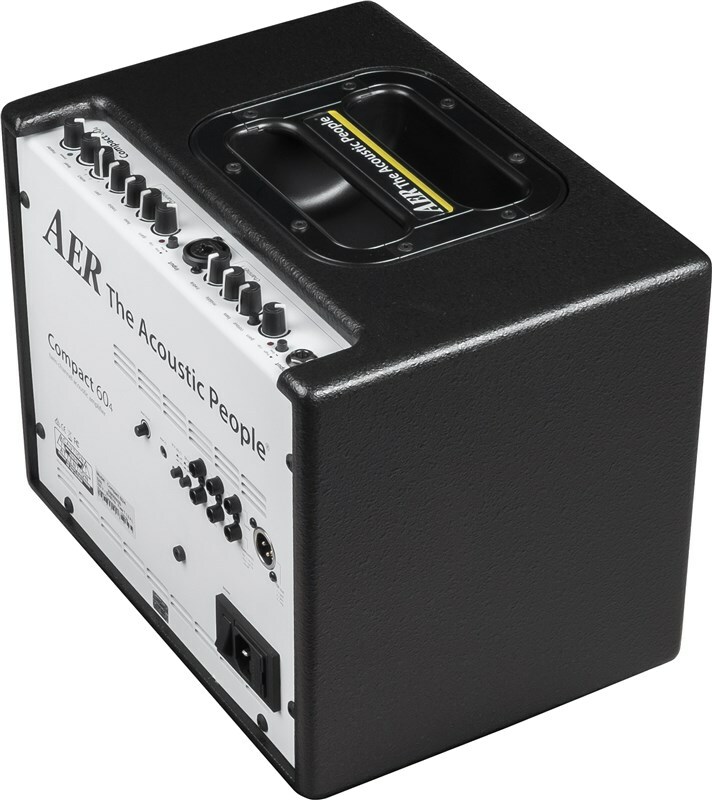 Don't be fooled by the power rating as the 60 watts that this amp produces are far more efficient than most other amps. 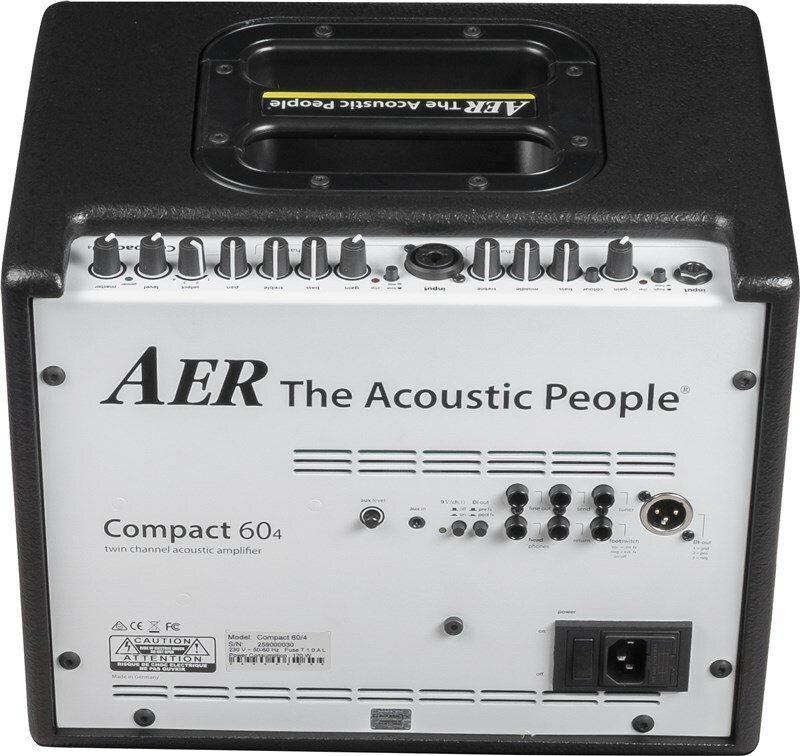 The Compact 60 is louder than most amps rated at 200 watts. Auxiliary Input: Allowing the connection of line-level sources (e.g. phone, mixer, CD player) via the 3.5mm jack socket (mono or stereo) which can be mixed in with channel 1 & 2 using the 'aux level' control. DI Out Pre/Post FX: D.I. 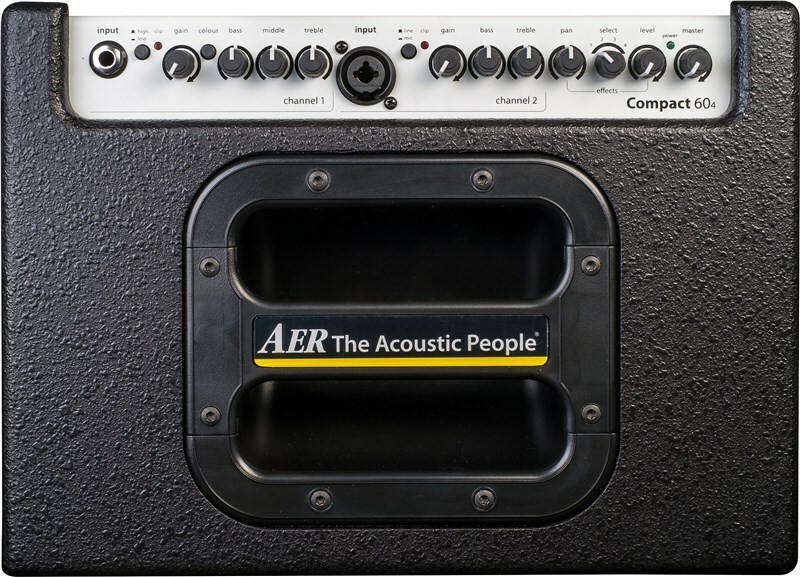 Output is a balanced, non-isolated XLR output, post tone and now is switchable pre or post effects. 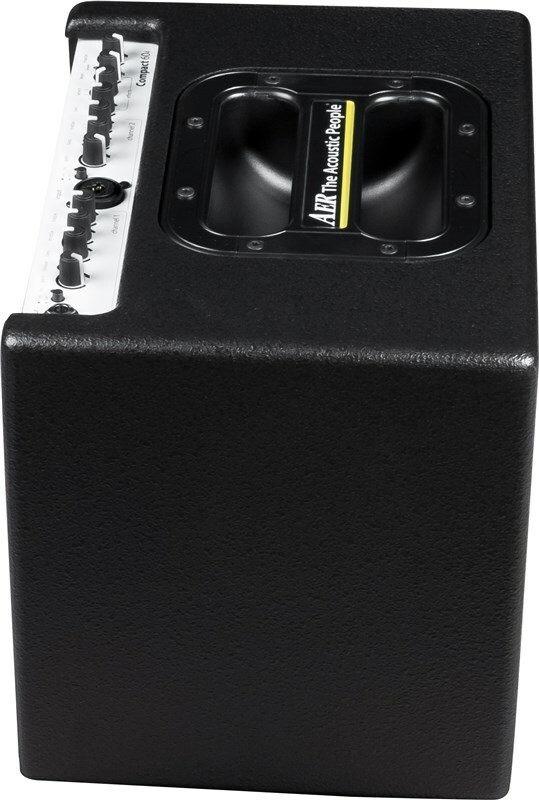 9V Phantom Power (ch. 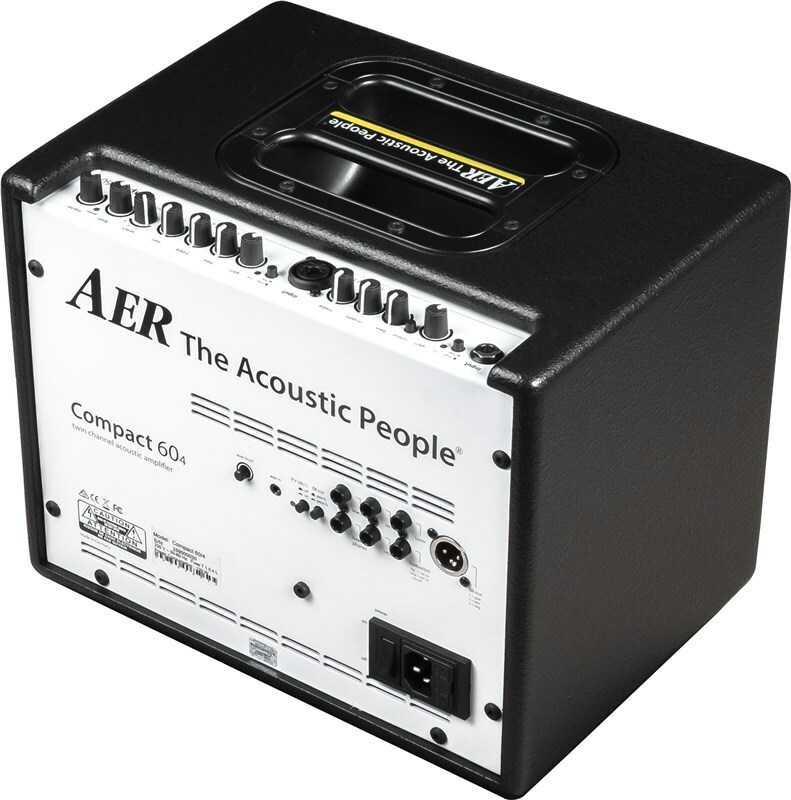 1): The 9V phantom power supplies instruments preamps with power (instead of battery) that are prepared accordingly. 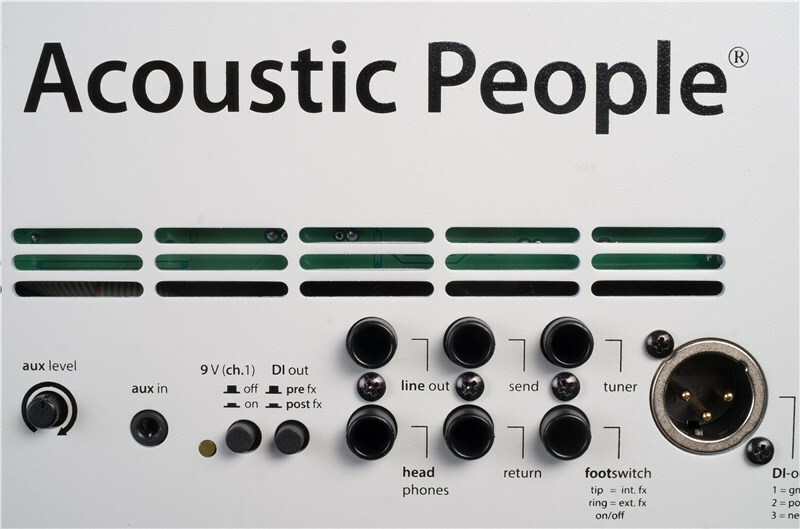 Such preamps must be connected to input 1 by a stereo jack cable. 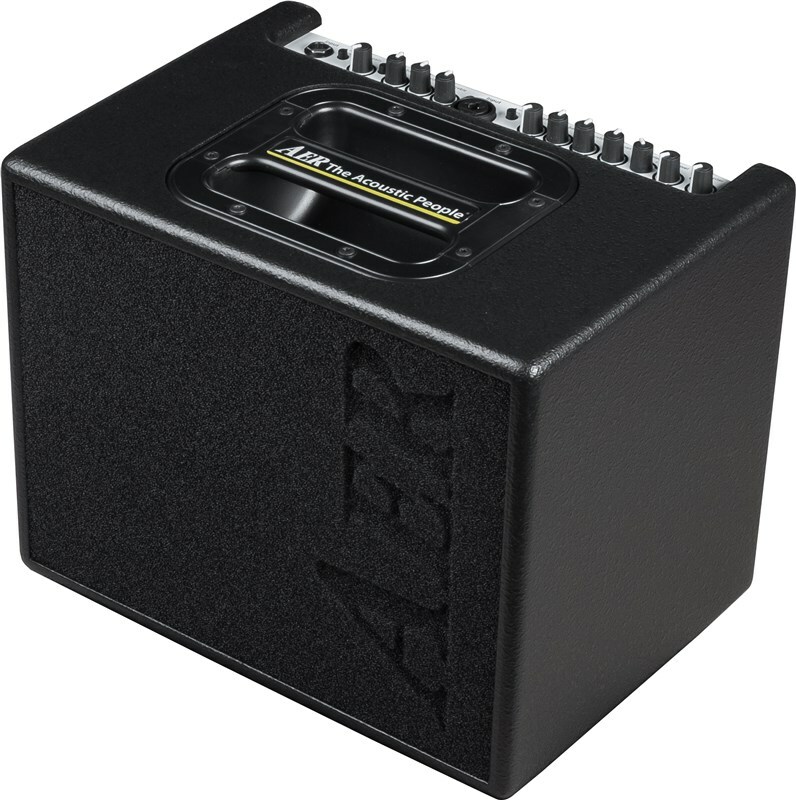 The yellow indicator lamp lights up when power is being supplied. 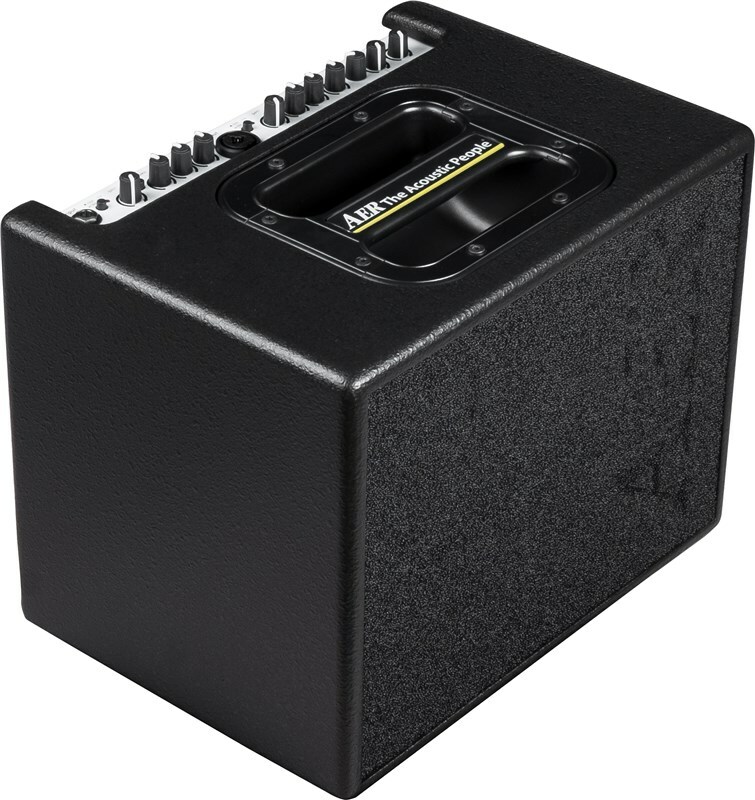 Sources that don't require phantom power should always be connected via a mono jack cable.